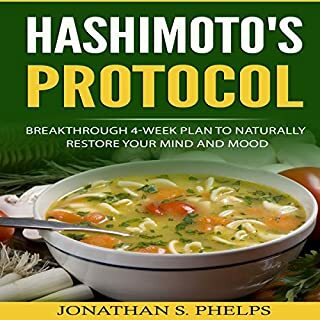 Hashimoto's Protocol: Breakthrough 4-Week Plan to Naturally Restore Your Mind and Mood teaches you every step, including a breakdown of what you can and can't eat to deal with your adrenal problems and chronic infections. Hashimoto's Protocol contains a four-week plan to get you fully up and running fast. The meals have worked for thousands of people just like you. These methods are backed up countless testimonials, all which will arm you with a mindset primed for success and getting the stability you deserve. An effective and practical program based on the Paleo lifestyle, customized to fit your needs! As the Paleo movement sweeps the nation, the health benefits of following the lifestyle of our hunter-gatherer forebears are undeniable. But what happens when we hit a wall and weight loss stalls, energy flags, or we're tired of restricted eating? We're not cavemen anymore, so why should we follow a strict caveman diet? 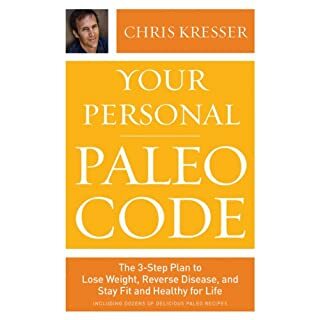 In Your Personal Paleo Code, Chris Kresser uses the Paleo diet as a baseline from which you can tailor the ideal three-step program - Reset, Rebuild, Revive - to fit your lifestyle, body type, genetic blueprint, and individual needs. If you only read one book on health, this is it! Let's face it. 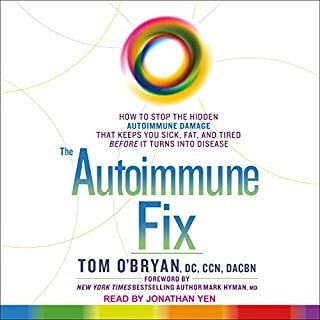 If you're sick with an autoimmune condition such as Hashimoto's, Celiac, rheumatoid arthritis, multiple sclerosis, Crohn's, ulcerative colitis, chronic fatigue, or one of the many other autoimmune conditions out there, you simply don't have the energy to sift through piles of information just to try to figure out what's "safe" to eat. All you want is to find a way to finally heal and to eat in a way that's easy to follow, tastes good, and supports your healing...but it always seems so complicated. Detoxify from your food cravings. Cleanse yourself of your food addictions and eliminate overeating. Heal yourself without any medications. Permanent recovery is possible. 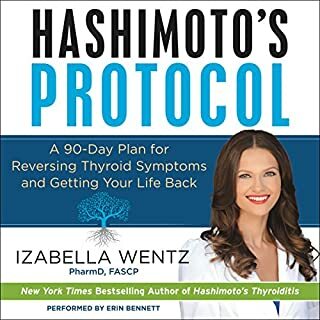 By marrying the very best elements of wheat-free and gluten-free eating, intermittent fasting, ketogenic (keto) diet plans, and other LCHF diets with the basic tenets of paleo-style eating, Gluten, Sugar, Starch presents an easy-to-follow guide for you to kick binge eating to the curb. Forever. Starting a new diet can be difficult; learning about one shouldn't be. Paleo for Beginners: Essentials to Get Started is a comprehensive, yet concise, guide to embracing the Paleo lifestyle. John Chatham, best-selling author of The Paleo Diet Solution and The Paleo Diet Solution Cookbook, walks readers through every step of success in a concise, easy-to-read format. Extensively researched, Paleo for Beginners offers answers to your most pressing Paleo questions, from the basic to the more scientific. In The Paleo Manifesto: Ancient Wisdom for Lifelong Health, John Durant argues for an evolutionary - and revolutionary - approach to health. All animals, human or otherwise, thrive when they mimic key elements of life in their natural habitat. From diet to movement to sleep, this evolutionary perspective sheds light on some of our most pressing health concerns. What is causing the rise of chronic conditions, such as obesity, diabetes, and depression? The Paleo Cardiologist is about finding the cause of heart problems, instead of the typical Band-Aid fixes of conventional medicine. The truth is that heart disease can be prevented naturally, and cardiologist Dr. Jack Wolfson will show you how. HOLISTIC HEALTH IS THE WAY TO GO! Explore how genetics and nutrition play a role in your autoimmune reactions and learn what you can do with diet and natural medicine to radically reduce inflammation and balance your immune system. 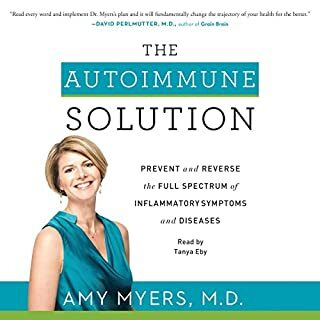 The Autoimmune Paleo Breakthrough presents a new model for treating autoimmune disease which consists of a simple yet profound do-it-yourself (DIY) dietary template along with strategies from Functional Medicine and Nutrigenomics to investigate and correct the root causes of your autoimmune reactions. 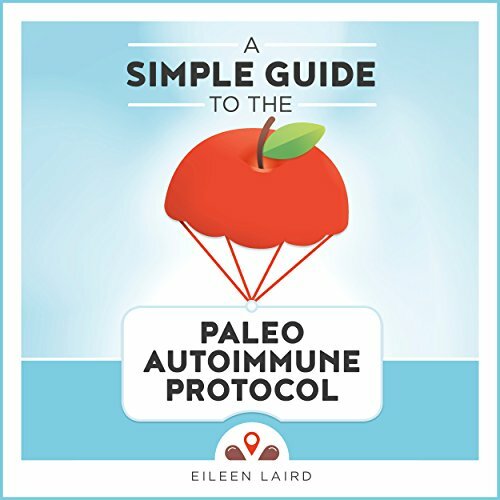 The Paleo Autoimmune Protocol (AIP), is a diet and lifestyle program designed to reduce inflammation, heal digestion, deliver nutrition that supports health, and ultimately reverse autoimmune disease. It's not a cure, but it can make a powerful difference in how you feel. The author knows this first-hand. 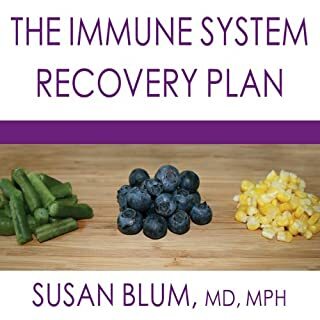 She uses the AIP to manage rheumatoid arthritis. This book is designed to make the transition to the AIP easier. It contains all of the essential information in a package small enough to throw in your purse or backpack. It's simple enough that even someone with brain fog can understand. And it's written like a conversation between friends. Eileen does a beautiful job as narrator . Info is simple and not overwhelming . It will be a great reference to listen to again. Very helpful and packed with good advice and insights. Breaks it down logically and makes the prospect of adopting the AIP less daunting.